Make-Up and Skincare in One to give you #DermPerfectSkin! Who wouldn’t want to flaunt a naturally-looking flawless and beautiful skin? Every day, we are faced with a common struggle on how to conquer the day with a glowing, radiant skin. Just by looking at ourselves in front of a mirror, we will easily notice the flaws that we wish to get rid of -- dark acne marks, big open pores, and dry skin texture. So, in order to look presentable, we usually depend on skin and cosmetic products that promise to effectively doff those skin imperfections. But, little did we know that most of them only address individual skin issues causing more harm than good to our skin. Hence, worsening our daily skin nightmares that may affect on how we look at ourselves. Good thing, there’s now an accessible and innovative skin solution that combines the power of make-up and skincare in one to achieve that attractive ‘derm perfect’ skin. 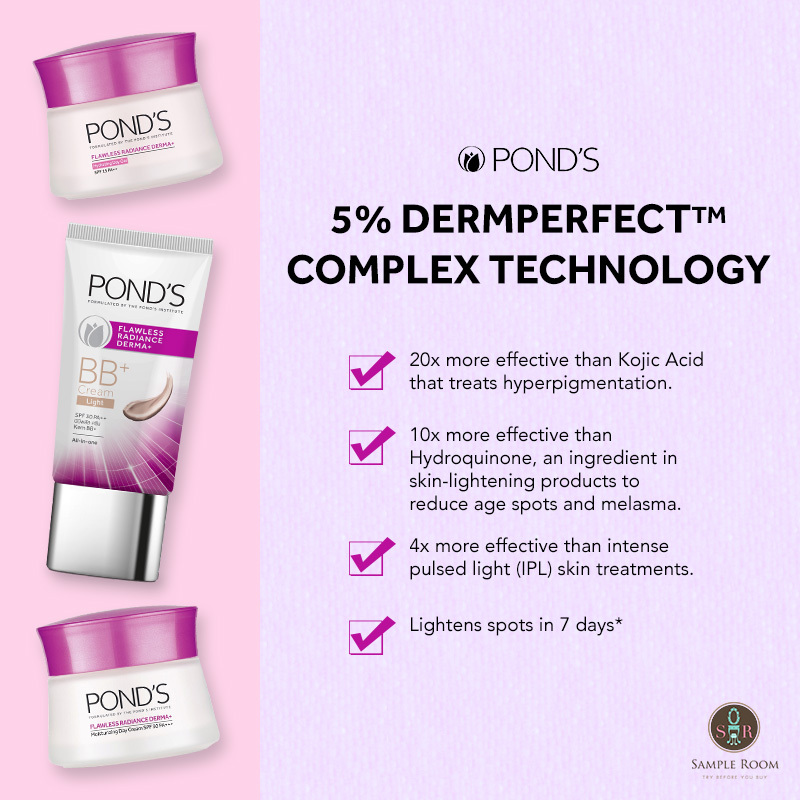 All thanks to the newest development from the Pond’s Institute, we can now be more beautiful and at the same time, have a well-nourished and perfect skin with Pond’s Flawless Radiance Derma+ BB+ Cream SPF 30 PA++! And again, it’s a make-up and skincare in one that provides instant natural coverage to cover dark spots and uneven skin tone while protecting your skin from sun’s harmful UV rays. But wait, it doesn’t end here. 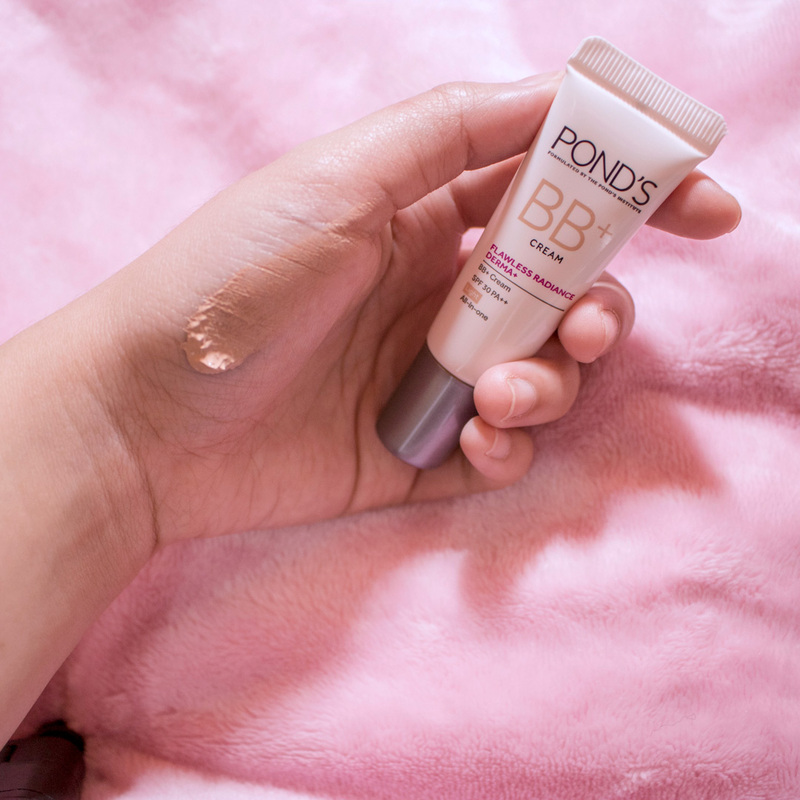 ;) It’s more than just a BB+ Cream; It’s infused with DermPerfectTM Complex Technology, Pond’s most advanced skincare technology yet, that works as skin’s cellular energy booster from deep within to perfect, correct, and unlock the skin’s flawless overall quality. 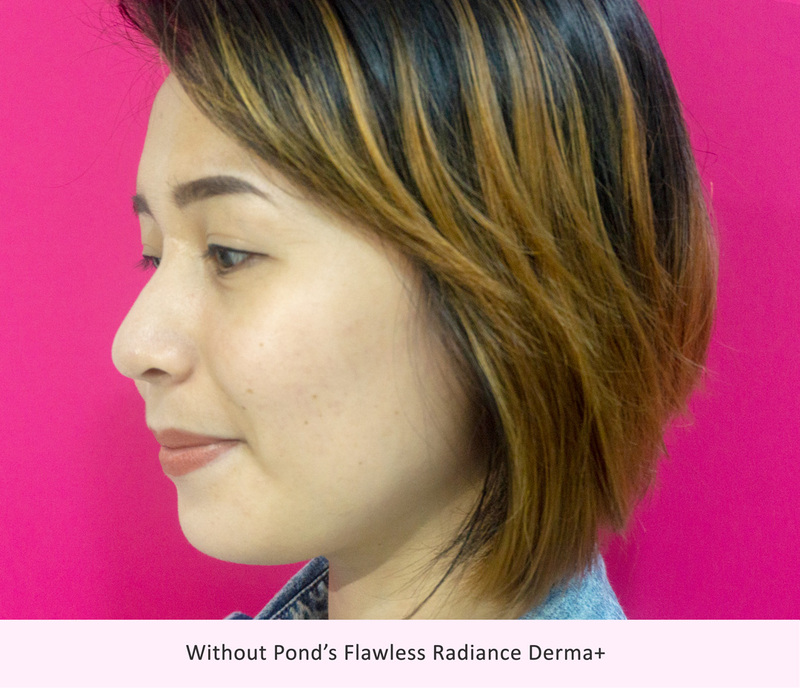 And what makes it more extraordinary is that it’s proven to be more effective than any skin and cosmetic treatments that mostly require us to break the bank to get that spot-less, pore-less, and luminous skin! Imagine, a make-up, sunscreen, and skin-perfecting cream in one. You could never ask for more, right? 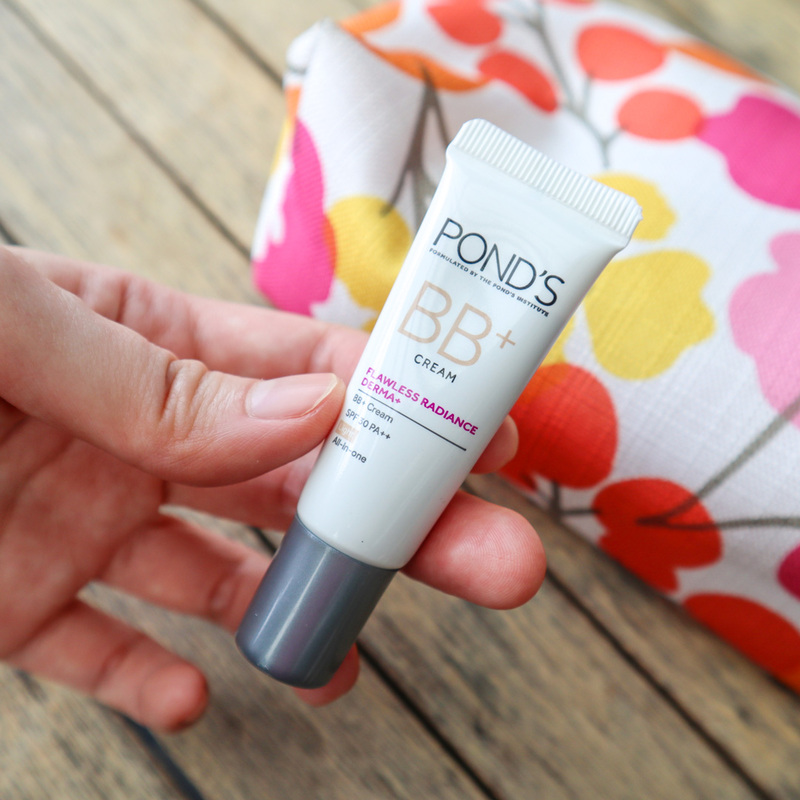 Amazed by how it works on the skin, I immediately laid my hands on this revolutionary BB+ Cream and have included it in my daily skincare routine as my makeup base. I’m using it for a week now and noticed how it adapts on my skin tone and how it conceals dark areas on my face (By the way, I’m using the “Light” tone). 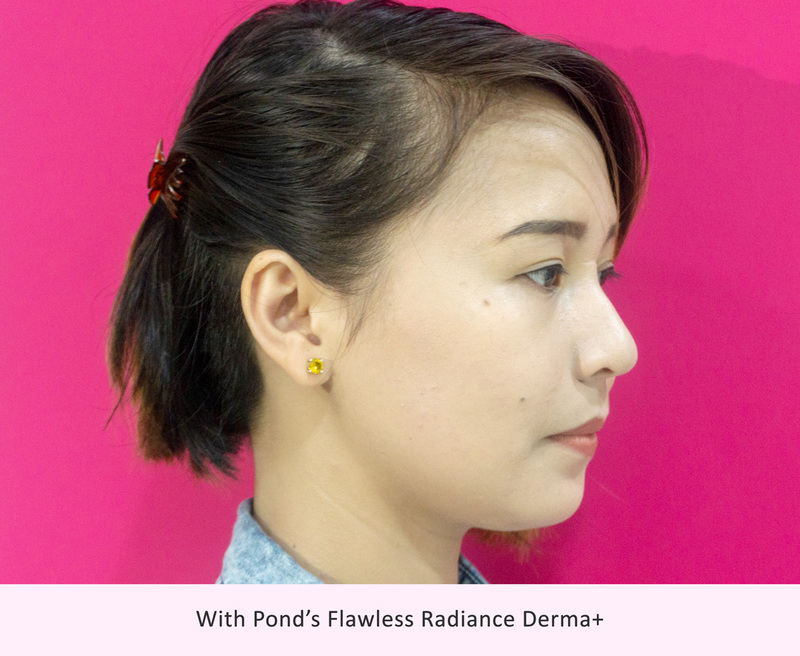 It’s my initial impression for now but I believe that if I continuously use the whole Pond’s Flawless Radiance Derma+ range together with this BB+ Cream, I’d be able to get that #DermPerfectSkin in no time! And oh, before I forgot, it comes with a cute travel-sized tube which makes it easy to bring this along with me during my out-of-town getaways – so, I can still look flawlessly beautiful whenever and wherever I go. :) Try it now for FREE here and get that beautiful #DermPerfectSkin like no other! #StopThatSpot using Belo Essentials AcnePro Pimple Gel! Your daily #SunProtectionAndMakeupInOne: Belo SunExpert Tinted Sunscreen!